At Lucas Fox, we are proud to offer some of the best newly renovated homes and new developments for sale in Andorra. Andorra stands out for its picturesque valleys and snow-capped mountains, its hearty local cuisine and tax-free shopping opportunities. At Lucas Fox, we are proud to offer some of the best newly renovated homes and new developments for sale in Andorra. At Lucas Fox we have a wide range of exclusive newly renovated and new build properties for sale in prime locations of Andorra. The principality of Andorra has always been a highly desirable place to acquire property thanks to its stunning alpine landscapes, world-famous ski slopes and tax-free shopping opportunities. Andorra is all about leisure and quality of life and thousands flock to this tiny country to enjoy its unique balance of shopping, fine dining, thermal spas and outdoor activities such as skiing, horse riding, trekking and mountain biking. In recent years there has been an surge in the number of new development projects in Andorra as demand for real estate for sale in the area has increased. New build properties in Andorra provide an excellent opportunity to acquire an impeccable second home with endless rental potential and are an attractive proposition for property investors as Andorra's property prices are continuing to experience yearly capital growth. Our new build apartments, houses and chalets boast the highest quality materials and finishes as well as beautiful design features and innovative architecture. Our new development properties in Andorra focus on abundant natural light and making the most of the stunning panoramic views, bringing the incredible landscapes into these stylish turnkey homes. Buying a new build home is the best option for clients seeking cutting-edge architectural design with exceptional interiors and the latest home automation features. Lucas Fox offers a wide selection of Andorra real estate for sale, ranging from stunning apartments and penthouses to luxury chalets with private outdoor space. They are all located in the best neighbourhoods, making them perfect for enjoying everything Andorra has to offer. The unbeatable locations of these homes, near all services and amenities, make them an excellent asset for investors looking to generate a steady income through short-term rental to tourists. Many of these brand-new homes are found within sleek buildings with concierge and security services, as well as communal facilities such as swimming pools, children’s play areas, large terraces, gyms and spas where you can rest after a long day out in the fresh air. 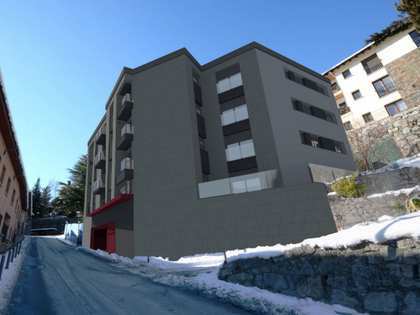 Whether looking for an investment opportunity or the perfect second residence close to the ski slopes, our new developments in Andorra have properties to suit all requirements and budgets. 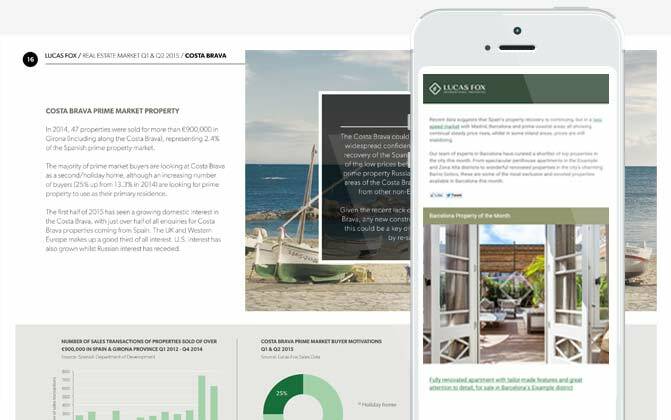 Allow our highly professional and experienced team of estate agents to make your property search as comfortable, transparent and stress-free as possible. The real estate specialists at our Andorra office speak several languages and will accompany you every step of the way during the sales process, offering a wealth of market knowledge and expertise to help with all of your property requirements. Start your property search with us today.